Saint Joseph’s Holy Hikers, established in 1994, celebrate 25 years of walking in the countryside and by the sea in and around the North East and North Yorkshire. The group started through a perceived need in the Parish and has attracted people from other parishes and walks of life and people of other faiths or no faith. Our season starts in April and runs through to October and then in November we have a short walk followed by a meal in a mystery location. Normally walks take place on the third Sunday of each month. 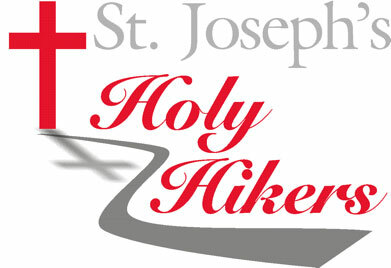 We travel by coach which leaves Saint Joseph’s church at 9:45 am and our walks are generally around seven miles. You are welcome to join us. Please see our current programme below.